D.C. may be one of the most expensive U.S. cities in which to live, but a new report by personal finance website Bankrate shows the District has the fifth lowest mortgage closing costs. WASHINGTON — D.C. may be one of the most expensive U.S. cities in which to live, but a new report by personal finance website Bankrate shows the District has the fifth lowest mortgage closing costs. In the report, Bankrate requested good faith estimates for a $200,000 mortgage loan from up to 10 lenders in each state and D.C., with a hypothetical 20 percent down payment and good credit. Closing costs are charged by lenders and third parties when a consumer gets a mortgage, such as fees to process credit card reports, inspection costs, underwriting fees or appraisal fees. In general, the website found that mortgage closing costs jumped 6 percent over the past year, and now average at $2,539 on a $200,000 loan. D.C. ranked fifth lowest at $2,402. Texas ranked first with the highest average closing costs at $3,406, while Nevada was the cheapest at $2,265. But buyers should beware that their closing costs would likely be higher in real life. Not included in the report were title insurance, title search, taxes, other government fees or escrow fees. Even more, the Office of the Chief Financial Officer predicted that the average sales price of a District home will hit $769,800 in 2014 — jumping to $813,600 in 2015. Currently, median single family home price in D.C. is around $600,000, while the average price is $713,000. Bankrate.com surveyed up to 10 lenders in each state in July 2014 and obtained online good faith estimates for a $200,000 mortgage to buy a single-family home with a 20 percent down payment in the state’s largest city. 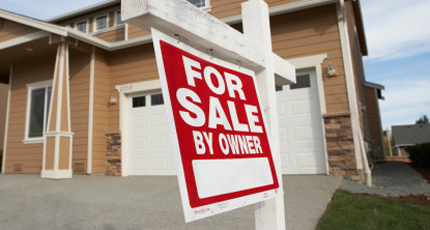 Costs include fees charged by lenders, as well as third- party fees for services such as appraisals and credit reports. The survey excludes title insurance, title search, taxes, property insurance, association fees, interest and other prepaid items.